JTC valve sales, is the leading supplier for propylene valve manufactured by Sherwood, the most trusted brand of valve manufacturers in USA. 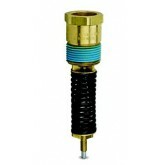 The propylene cylinder valve is designed for welding, cutting and supply of fuel gas applications. 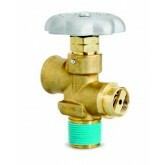 The propylene valves are also called as alternate energy valves. Sherwood valves are manufactured in the USA at a state-of-the-art manufacturing facility. Every valve designed for safety and reliability and is tested by stringent quality control methods before it is supplied. The internal relief pressure valve available at JTC valve sales, is designed for welding, cutting and supply of fuel gases. All the above propylene gas valves are designed for CGA outlet connection 510 with a discharge setting of 435-520 and can be connected to 4B260, 4BA260, 4BW260, 4BW240 cylinders. 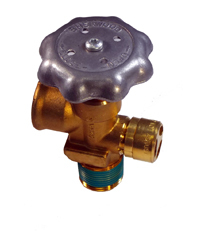 Find the best quality, highly reliable and safe propylene valves right here. If you are looking for some other specifications for propylene cylinder valve that is not listed here, do not hesitate to contact us right away as our warehouse is stocked with Sherwood propylene valves for every application.